Air Plus Comet is a Madrid based airline carrier in Spain. It operates both scheduled and charter flight services and is a subsidiary to Aerolineas Argentinas airlines. 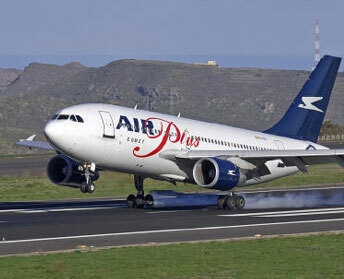 Air Plus Comet flies to cities within Europe and vacation holiday flights to North America, South American and the Caribbean. The airline company operates from its main hub at Madrid Barajas International Airport. Established in the year 1996, Air Plus Comet is wholly owned by Grupo Marsans and has a total passenger fleet size of 14 and its headquarters is located at Madrid, Spain. Air Plus Comet operates flight destinations to cities below.